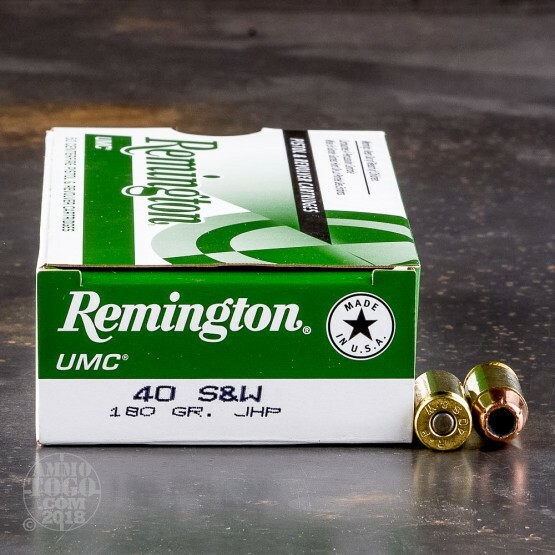 This 500 round bulk pack of .40 S&W will give you plenty of fuel for your carry mags as well as a healthy reserve for consistent range practice or rainy day storage. 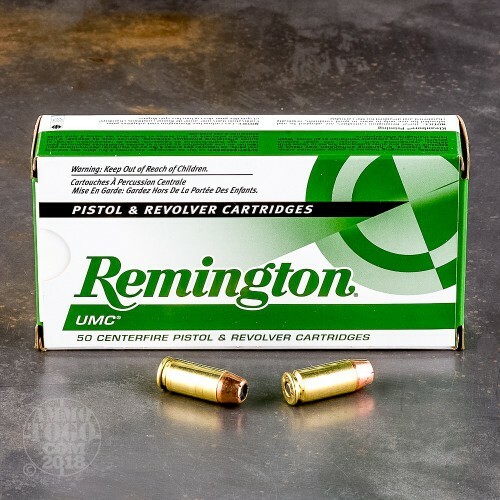 Remington UMC ammunition aims to offer shooters a low cost option that doesn't skimp on quality components. 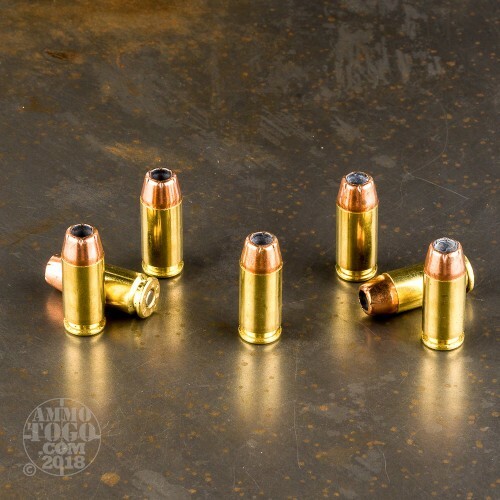 These cartridges are assembled using clean-igniting Kleanbore primers fitted into new, reloadable brass casings which are loaded with 180 grain jacketed hollow-point (JHP) projectiles. 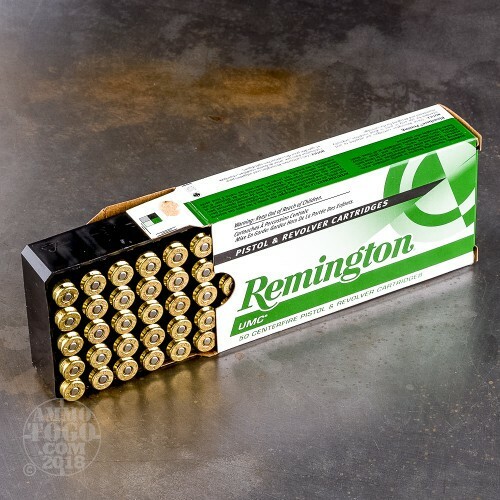 180 grains is a common weight for the .40 caliber and lends a slight smoothness to the sharp recoil while maintaining high velocity and effective terminal ballistics. The UMC JHP projectile design uses a wide mouth cavity with light scoring around its jacket's edges; this construction promotes wide expansion on impact which is intended to prevent over-penetration while producing a large wound channel and delivering optimum energy for personal defense use.